Whenever I need to grab a quick bite to eat, I always head straight to this taco stand near the place where I work. There are other places nearby which serve up some mean tacos, but what this stand has that those other taco places didn’t were options. 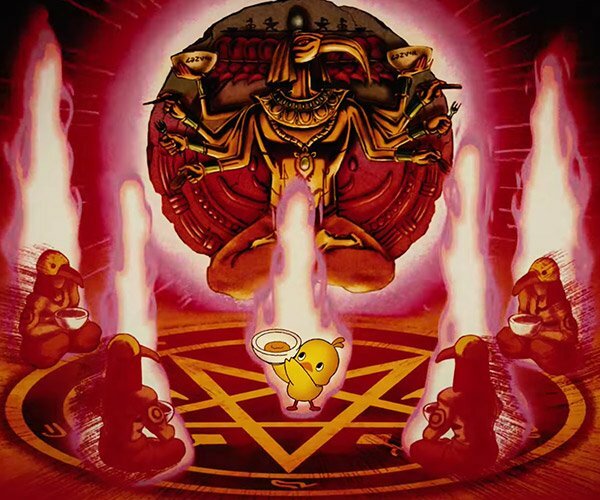 There are five levels available: mild, regular, hot, extra hot, and flaming. I usually go for regular, but I do want to try out the flaming one someday – and maybe wear the Nuclear Taco Sensor Helmet while doing so. 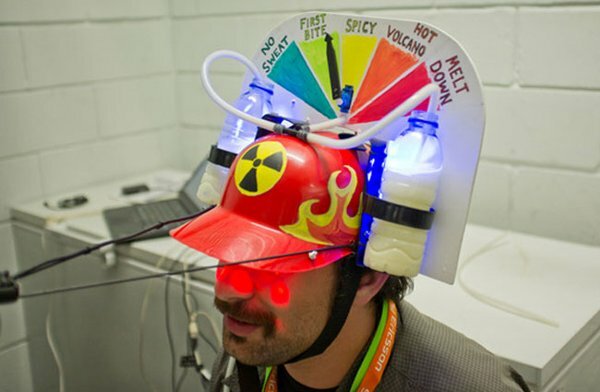 This colorful helmet is actually a discomfort meter that measures just how uncomfortable you are while you chomp down that taco by taking note of how much you’re sweating, notes your temperature, and measures how much of that water + yogurt liquid you’re drinking to soothe your tastebuds. The sensors that measure all this stuff are connected to an Arduino board and a meter that displays if the taco you’re eating is “no sweat” or if it’s a “hot volcano.” Aside from that, the helmet’s front has been installed with a camera that records every moment of your taco discomfort. The helmet was developed by a team from altLab in Lisbon and won first place in the 2011 CodeBits 48-hour hacking competition.